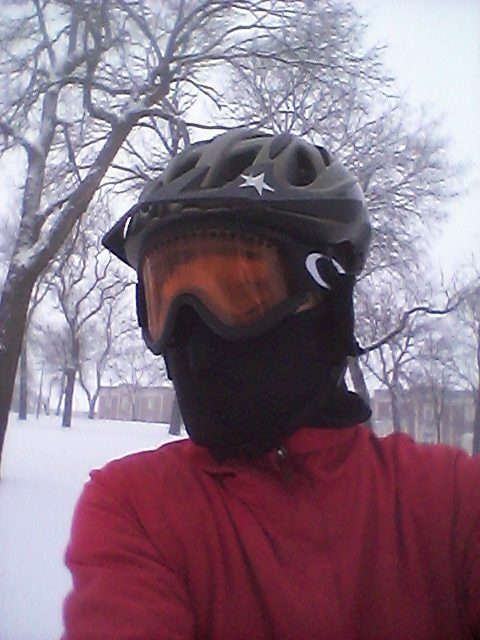 Trail Ramblings: Yes, You Can Still Have Fun Riding In This Weather. An article by Janine Copple Comments Off on Trail Ramblings: Yes, You Can Still Have Fun Riding In This Weather. So who’s still riding in this weather and who thinks it’s just not for them? The trails are generally in good shape, barring a little packed ice in spots and some bridges you may have to put a foot down on. The side streets are a mix, but on the whole, passable. This morning I checked the weather, as always, and ended up adding a layer of wool, which I regretted half-way into my commute. I was overheating. It’s easy for me to think I’ll need another layer but I rarely do. I didn’t even need my bar mitts, just lobster claws. I had a tail wind and not a head wind, which likely made the difference. I did have to seal up the wrists and I did need my face mask and ski goggles. Wind pants, yes, and wool socks in lightly insulated boots. I was completely comfortable. And I’m one who easily suffers from cold hands and feet. On a longer ride, I probably would have eventually needed my Bar Mitts and heavier boots or shoe covers. The wind had died down a bit for errands on my commute home, more into the wind. This is the only way I stay comfortable riding in this weather. The share bikes are still being ridden, even in these conditions. If you think you can’t have fun on bikes in the winter, think again. Your fun doesn’t need to stop with commuting. Plenty of it is being had in Wilderness Park, and last weekend in Pioneers Park, on fat bikes. Sadly, I do not (yet) own a fat bike, but it sounded like a great time. 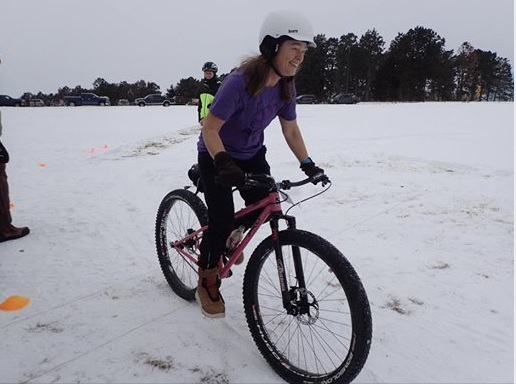 A course was created through the snow and contestants rode laps, which proved faster and easier the more laps were ridden. It’s true the faster you ride, or the more resistance there is, the warmer you get, so some people were shedding their jackets. 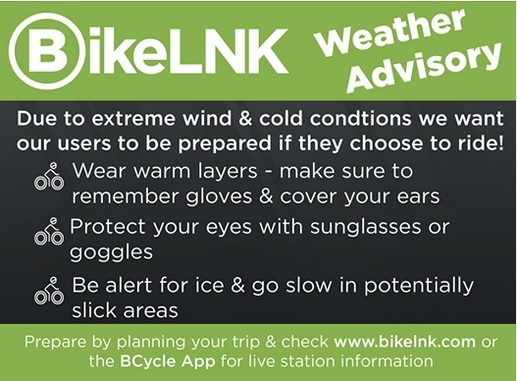 Be sure to have warmer gear with you if you’re standing around or riding at a more leisurely pace in this weather. Jamie sheds while she shreds. Photo credit: Sarah Knight. For those staying indoors, try to look at it this way. If we have snowy weather, we should make the most of it, so find a way to enjoy it. It might be on a bike.